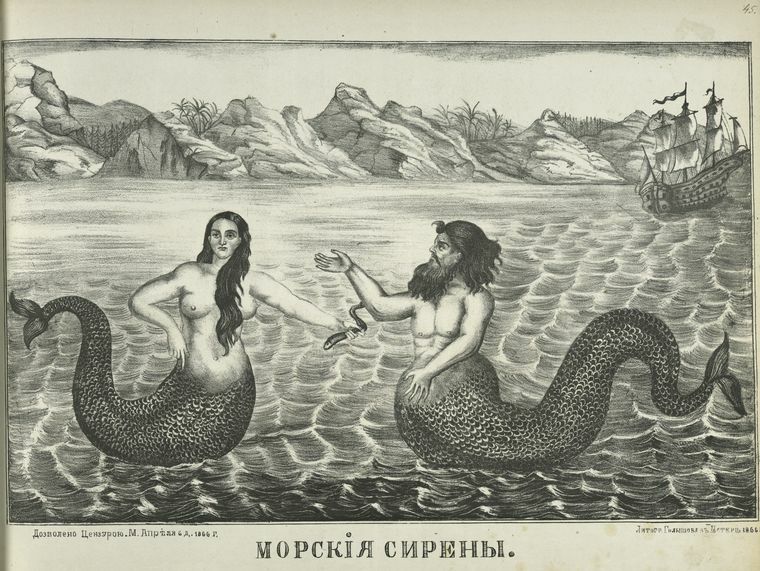 From the press of 1710, a report of a merman! 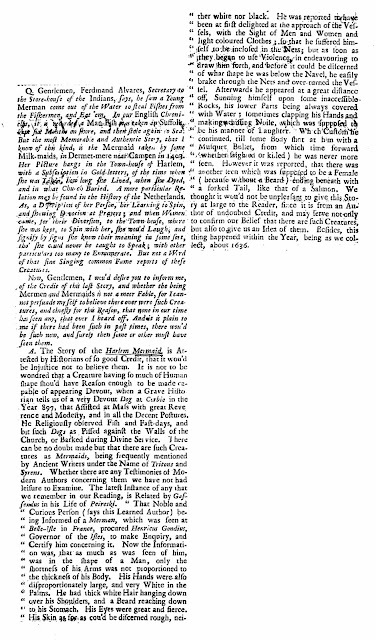 British Apollo (London, England), April 24, 1710 - April 26, 1710; Issue 13. Q. Gentlemen, Ferdinand Alvares, Secretary to the Store-house of the Indians, says he saw a Young Merman come out of the Water to steal Fishes from the Fishermen, and Eat' em. In our English Chronicles, it is recorded a Man-Fish was taken in Suffolk, kept six Months on shore, and then stole out to Sea. But the most Memorable and Authentic Story, that I know of this kind is the Mermaid taken by some Milk-maids in Dermer-mere near Campen in 1403. Her Picture hangs in the Town-house of Harlem, with a Subscription in Gold-letters, of the time when she was taken, how long she Lived, when she Dyed, and in what Church Buried. A more particular Relation may be found in the History of the Netherlands. 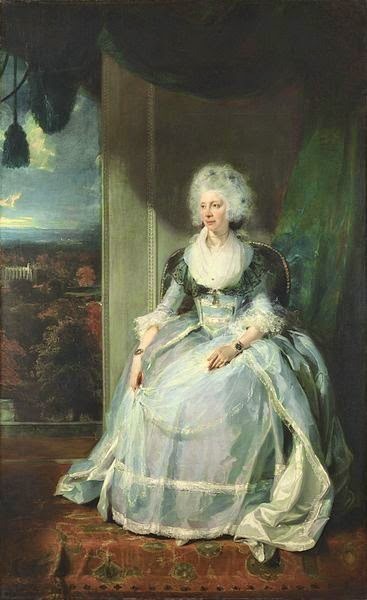 As, a Description of her Person, her Learning to Spin, and shewing Devotion at Prayers; and when Women came, for their Diversion, to the Town house, where she was kept, to Spin with her, she wou'd Laugh, and signify by signs she knew the meaning in some sort, tho' she could never be taught to Speak; with other particulars too many to Ennumerate. But not a Word of that fine Singing common Fame reports of these Creatures. Now, Gentlemen, I wou'd desire you to inform me, of the Credit of this last Story, and whether the being Merman and Mermaids is not meer Fable, for I cannot persuade my self to believe there ever were such Creatures, and chiefly for this Reason, that none in out time has seen any, that ever I heard off. And it is plain to me if there had been such in past times, there wou'd be such now, and surely then some or other must have seen them. A. The Story of the Harlem Mermaid is Attested by Historians of so good Credit, that it wou'd be Injustice not to believe them. It is not to be wondred that a Creature having so much of Human shape shou'd have Reason enough to be made capable of appearing Devout, when a Grave Historian tells us of a very Devout Dog at Corbie in the Year 897, that Assisted at Mass with great Reverence and Modesty, and in all the Decent Postures. He Religiously observed Fish on Fast-days, and bit such Dogs as Pissed against the Walls of the Church, or Barked during Divine Service. 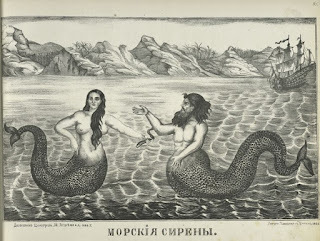 There can be no doubt made but there are such Creatures as Mermaids, being frequently mentioned by Ancient Writers under the Name of Tritons and Syrens. Whether there are any Testimonies of Modern Authors concerning them we have not had leisure to Examine. The latest Instance of any that we remember in our Reading, is Related by Gossendus in his Life of Peireski. "That Noble and Curious Person (says this Learned Author) being Informed of a Merman, which was seen at Bell-Isle in France, procured Henricus Gondius, Governor of the Isles, to make Enquiry, and Certify him concerning it. Now the Information was, that as much as was seen of him, was in the shape of a Man, only the shortness of his Arms was not proportioned to the thickness of his Body. His Hands were also disproportionately large, and very White in the Palms. He had thick white Hair hanging down over his Shoulders, and a Beard reaching down to his Stomach. His Eyes were great and fierce. His Skin as for as cou'd discerned rough, neither white nor black. He was reported to have been at first delighted at the approach of Vessels, with the Sight of Men and Women and light coloured Clothes; so that he suffered himself to be inclosed in the Nets; but as soon as they began to use Violence, in endeavouring to draw him forth, and before it could be discerned of what shape he was below the Navel, he easily brake through the Nets and over-turned the Vessels. 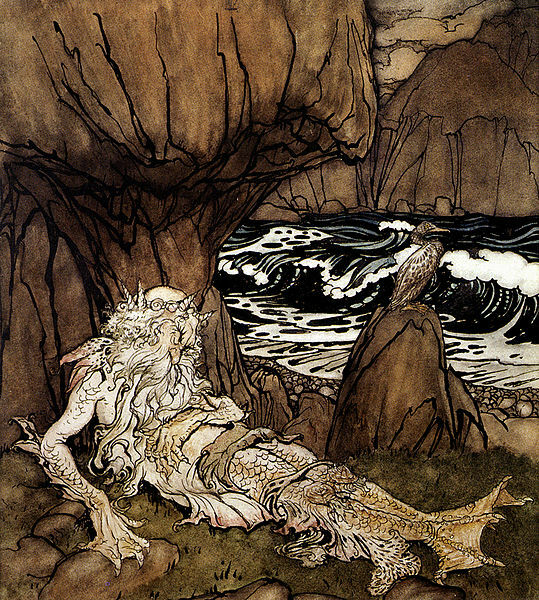 Afterwards he appeared at a great distance off, Sunning himself upon some inaccessible Rocks, his lower Parts being always covered with Water; sometimes clapping his Hands and making a hissing Noise, which was supposed to be his manner of Laughter. Which Custom he continued, till some Body shot at him with a Musquet Bullet, from which time forward whether frighted or killed, he was never more seen. However it was reported, that there was another seen which was supposed to be a Female (because without a Beard) ending beneath with a forked Tail, like that of a Salmon. We thought it wou'd not be unpleasant to give this Story at large to the Reader, since it is from an Author of undoubted Credit, and may serve not only to confirm our Belief that there are such Creatures, but also to give us an Idea of them. Besides, this thing happened within the Year, being as we collect, about 1636. Don't miss this chance to see the marvellous Essie Fox speak live in Ledbury; Essie's novels are an absolute delight, and this is sure to be an evening to remember. Essie Fox will be returning to her childhood home of Herefordshire, for a talk at The Master's House in Ledbury on the evening of Friday 17 June. 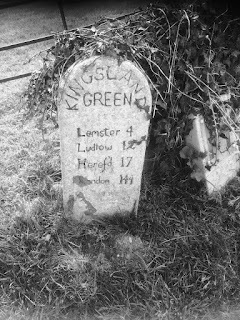 Herefordshire features strongly in The Somnambulist and Elijah's Mermaid, and Essie will be discussing how the reality of her memories has been merged into her fiction. 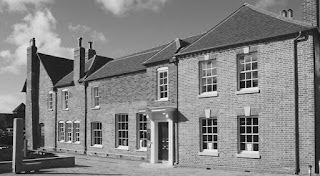 I am delighted to welcome Char Newcomb, who writes about her visit to my hometown of Nottingham! On my first visit to Nottingham in 2010 I was a tourist, not a researcher. 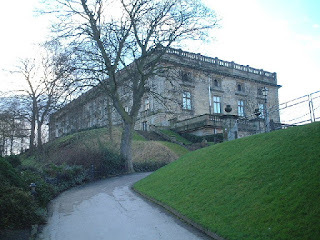 I didn’t know I would be writing a novel that would include scenes at Nottingham Castle in the late 12th century. 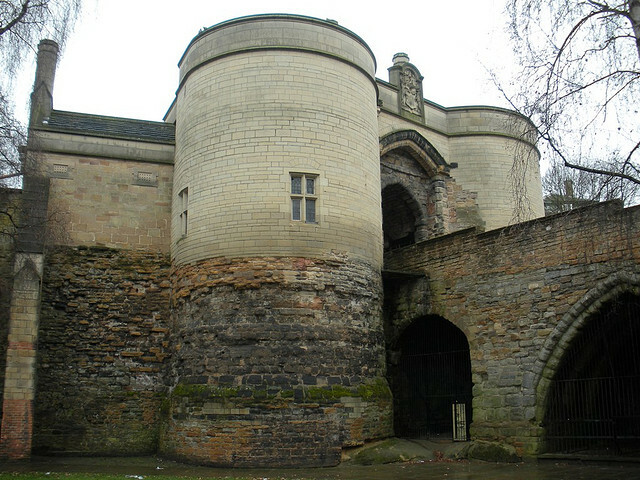 What I knew about Nottingham and the Castle came from movies and television shows – exclusively Robin Hood in its various incarnations. We don’t have medieval castles in the United States. 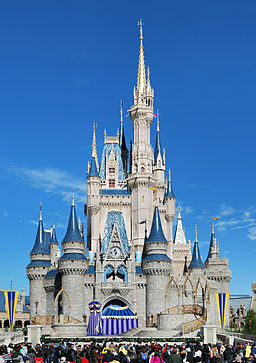 The closest I had come to a castle was Cinderella’s at Disney World and Biltmore House in North Carolina. The year 2010 was a hectic time. I was on sabbatical that spring and preparing for nine weeks in the United Kingdom, planning site visits to university libraries. Nottingham was centrally located so I planned to spend three weeks there before I moved on to Edinburgh. I could not wait to see the legendary “home” of Robin Hood, but I had little time prior to departure to explore the history of Nottingham and its castle. I was ecstatic when I saw the gatehouse and excavated areas of the stone curtain wall. Disappointment hit when I walked through the gatehouse and up the stairs. (Apparently, I am not alone.) After visiting Edinburgh Castle in 2008, I had anticipated seeing stone curtain walls, a keep, towers, and battlements in Nottingham. No such luck. The ducal palace, occupying the site on what would have been part of the upper bailey of Nottingham Castle, is a beautiful building and now a museum. But it was 17th century. 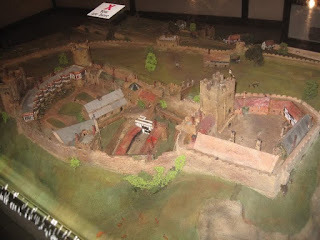 The museum has a model of the castle, but I learned it is representative of the site circa 1500. I drowned my disappointment in bangers and mash and a Robin Hood ale at Ye Olde Trip to Jerusalem, which does date back to 1189. 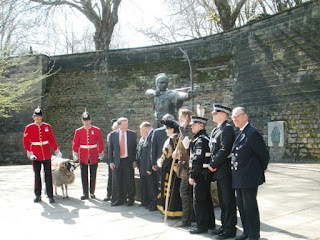 I had my photo taken with the Robin Hood statue and was witness to the Nottingham tradition of freemen celebrating their right to herd sheep (at no cost) across the River Trent. Private Derby, the mascot of the Mercian Regiment, was in attendance, along with the Lord Mayor and other officials. Robin Hood even served me a free ale at The Trip that day. Flash forward three years. 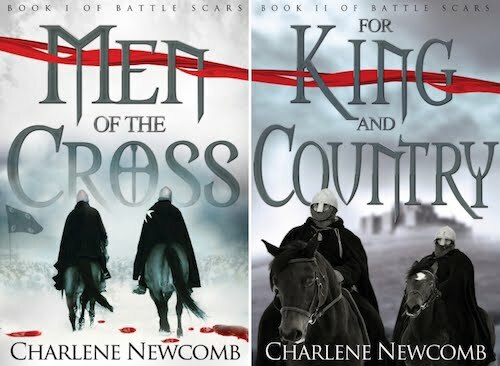 I was probably halfway through writing Men of the Cross, my Third Crusade novel, when its sequel called to me. I had read a scene at my writers group featuring a couple of teenaged thieves. The group said “I hope we see those boys again,” and suddenly their names struck me. I needed to continue the story of the knights who served King Richard and the three secondary characters I had introduced: Robin (a knight) and the two camp followers named Allan and Little John, who someday will become the gang we know as the Merry Men. In For King and Country, my fictional knights and these characters of legend would fight alongside King Richard the Lionheart at the Siege of Nottingham in March 1194. M.K. Tod’s Historical Fiction Reader Survey notes that readers’ favorite historical novels immerse the reader in the time and place. I needed to know the people, politics, weaponry, and culture, as well as “the place,” i.e., 12th century Nottingham Castle. There are a multitude of images of the Castle online, almost all from post-1500 and similar to the model on display at the Museum. Fortunately, Trevor Foulds had published a detailed article on the siege in 1991. Buried in his end notes was a reference to a 1989 article entitled “Nottingham Castle: A Place Full Royal,” by Christoper Drage, which led me to the book of the same name, published in 1990. I had found gold! Drage’s book is based on historical records beginning with William the Conqueror and a major project from 1976-1984, which included excavations of the middle bailey. The book provides information and illustrations about the building program at the Castle from the late 11th century through its evolution to the present day and provided me the opportunity to show what my future Robin Hood and King Richard and his knights would have seen there. Nottingham was in a prime location to control routes from south to north and along the River Trent. It gained prominence with William the Conqueror’s castle building program, taking advantage of the natural rock outcrop. 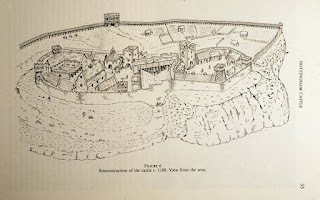 By the mid-12th century, the upper bailey of the Castle was surrounded by a timber palisade and separated from the middle bailey by a deep ditch. Henry II undertook major improvements to it to strengthen the defenses. The construction of a stone keep in the upper bailey is credited to his reign. According to the Pipe Rolls, over £1800 was spent in the 1170s and 1180s to construct the stone curtain walls of the upper and middle baileys and for other enhancements and repairs. 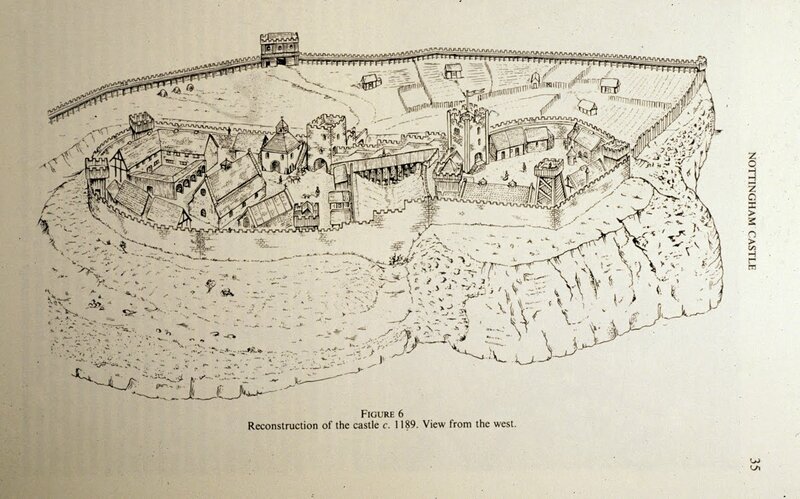 Drage suggests that by the end of Henry’s reign, the upper bailey also contained king and queen’s apartments, a long chamber separating the two, a chapel, kitchen, as well as a few other buildings. A great hall built of stone was constructed in the middle bailey in the early 1180s. The Pipe Rolls report approximately £70 were expended during King Richard’s reign. The Siege of Nottingham lasted three days and apparently the castle suffered very little damage, assuming the Pipe Rolls reflect all costs associated with repairs. King John spent several hundred pounds on enhancements and repairs. On the north and east (which faces the town), the large outer bailey was surrounded by a timber palisade and a wooden gate until the middle of the 13th century when John’s son and successor Henry III replaced the timber gate in the 1250s with the stone gatehouse visitors see now as they enter the castle grounds. One of the Castle’s most famous incidents was the capture of Roger Mortimer, lover of Queen Isabella (wife of Edward II, mother of Edward III) in 1330. Mortimer and the queen ruled in her son’s name after overthrowing Edward II. Concerned with Mortimer’s influence, seventeen-year old Edward III, ordered the arrest of Mortimer. There are several accounts of his capture, but one relates that Edward’s men infiltrated the Castle through a secret passage, which has come to be known as Mortimer’s Hole. The passage likely existed earlier as caves and cellars are known to have been built in the area earlier than the Conquest. Some versions of the capture note the passageway opened into the middle bailey; others, the upper bailey. But the route led to the base of the castle rock in the Brewhouse Yard and near the River Leen. The passageway may have been used to retrieve stores and water rather than what we tend to think of the romantic secret escape route, and though no written records of 12th century escapades exist, I employed the writer’s creative license to take advantage of the tunnels. My quest for information for For King and Country could have ended with the 12th and 13th centuries, but understanding what happened to Nottingham Castle was important to me. Continued improvements to the Castle are recorded through the late 15th century, but a survey in 1525 reported numerous problems and neglect. A proposed meeting between Mary, Queen of Scots, and Queen Elizabeth I in 1562 prompted some £500 of repairs and additional work was also completed during the last 20 years of the 16th century. Unfortunately, the once gem of a royal castle continued to fall into disrepair. It was little more than a shell by the time of the English Civil War in the 1640s, uninhabitable according to one biography by a man appointed governor of the Castle in 1643 though it was strengthened at the time to accommodate troops. As the Civil War ended, the Castle was ordered to be demolished in 1651.One drawing dated 1660 shows ruined walls and towers without roofs. William Cavendish, Duke of Newcastle, purchased the site in 1661. The remaining ruins were cleared for the construction of the current ducal palace in 1674. Model of Nottingham Castle circa 1500 – photo by Cathy Young. Used with permission. Private Derby with the Lord Mayor, Robin Hood and others – author’s photo, CC BY-SA. Line drawing of Nottingham Castle in the 12th century castle. In Nottingham Castle: A Place Full Royal, Thoroton Society of Nottingham, c1990. Used with permission. Nottingham Gatehouse – author’s photo, CC BY-SA. Charlene Newcomb is the author of Men of the Cross and For King and Country, two historical adventures set during the reign of King Richard I, the Lionheart, though her writing roots are in a galaxy far, far away. She has published 10 short stories in the Star Wars universe and written one contemporary novel. 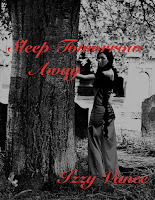 She is a member of the Historical Novel Society and a contributor and blog editor for English Historical Fiction Authors. Written content of this post copyright © Char Newcomb, 2016. On Thursday 19th July 1821, George IV entered Westminster Abbey for his coronation, kicking off a day of ceremony, celebration and, because it was our Georgie, excess. 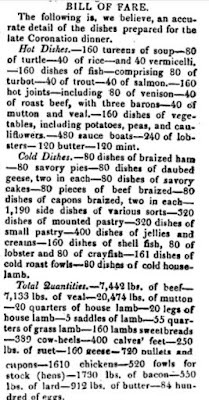 You can read all about that magnificent occasion here; the day closed with an enormous banquet... but what was on the menu? All of which are independent of the eggs, butter, flour and necessary articles in the pastry and confectionary departments. 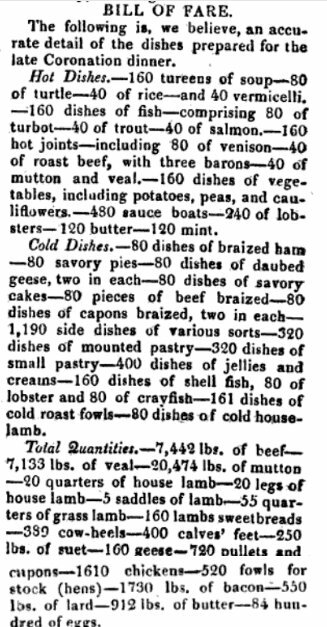 The total supply for serving up the Banquet was 6704 dinner plates, 1406 soup plates, 1499 dessert plates, 288 large ale and beer pitchers. You can find out more about George's magnificent life of largesse in Life in the Georgian Court, now available to order worldwide!